Barbara Kazmierczak is a licensed funeral director in Massachusetts and a certified funeral service practitioner. She graduated from the New England Institute at Mount Ida College, Newton, MA. A lifelong Worcester resident, she worked as a Registered Nurse graduating from Worcester Hahnemann Hospital School of Nursing, received her Bachelors in Science from Assumption College and Masters in Business Administration from Anna Maria College. Before joining her husband Jack Kazlauskas on a part-time basis she worked in hospital administration, nursing education and pharmaceutical regulation throughout the country. 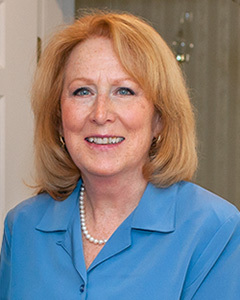 In addition to community service groups, she is a Board member of the Massachusetts Funeral Directors Association as well as a member of the Arts Committee of the International Conference of Funeral Service Examining Boards. J. Brian McSherry is a Licensed Funeral Director and Certified Funeral Service Practitioner. Born and raised in Waterbury, Connecticut, Brian graduated from Assumption College with a degree in Sociology prior to attending the New England Institute at Mount Ida College. 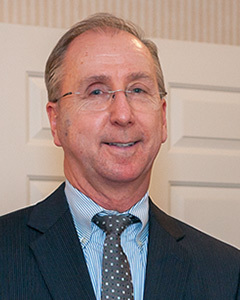 Before moving to Worcester to join Morin Funeral Home in 1984 to work with Adelard Morin, he worked at Shaughnessy Brothers Funeral Home in Connecticut. Along with his wife Christine and three children he has become a longtime Worcester resident.